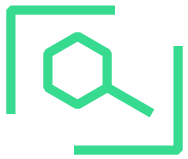 ChemExper sprl compiles chemical information from many sources. THIS DATA IS PROVIDED "AS IS" AND IN NO EVENT SHALL CHEMEXPER BE LIABLE FOR ANY DAMAGES, INCLUDING, WITH OUT LIMITATION, DAMAGES RESULTING FROM LOST DATA OR LOST PROFITS OR REVENUE, THE COSTS OF RECOVERING SUCH DATA, CLAIMS BY THIRD PARTIES OR FOR OTHER SIMILAR COSTS, OR ANY SPECIAL, INCIDENTAL, OR CONSEQUENTIAL DAMAGES, ARISING OUT OF THE USE OF THE DATA. The accuracy or reliability of the data is not guaranteed or warranted in any way and the Providers disclaim liability of any kind whatsoever, including, without limitation, liability for quality, performance, merchantability and fitness for a particular purpose arising out of the use, or inability to use the data.